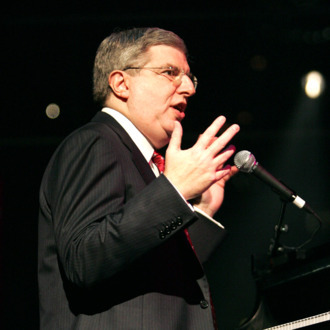 Composer Marvin Hamlisch died today in Los Angeles after a brief but undisclosed illness, a family spokesperson announced. He was 68. Hamslich, who wrote the score for A Chorus Line and The Way We Were, among many other works, was an EGOT winner, and over his career amassed a Tony, three Oscars, four Emmys, and four Grammys. And a Pulitzer. And two Golden Globes. Hamlisch was a child prodigy and got his start in the music industry co-writing songs for Lesley Gore, including “Sunshine, Lollipops and Rainbows.” He segued into scoring movies after producer Sam Spiegel met him at a party, where Hamlisch had been hired to play the piano. That led to 1968’s The Swimmer, and three years later, Hamlisch was nominated for his first Academy Award. (He lost to “Shaft.”) Hamlisch won his three Oscars in 1974, one for the original and adapted music from The Sting, one for the original song “The Way We Were” (lyrics by Alan and Marilyn Bergman), and one for the score to The Way We Were. His other well-known film scores include Bananas; Ice Castles; Same Time, Next Year; Ordinary People, and most recently The Informant!. For the stage, Hamlisch won a Tony, a Pultizer, and lasting acclaim for his score for A Chorus Line. He also wrote the music for They’re Playing Our Song, which is loosely based on Hamlisch’s life, as well as the music for The Goodbye Girl. In recent years, Hamlisch served as a pops conductor for the Pittsburgh Symphony Orchestra, Milwaukee Symphony Orchestra, Dallas Symphony Orchestra, Pasadena Symphony and Pops, Seattle Symphony, and San Diego Symphony.